There is no question why the compelling-yet-misguided speaker turned to storytelling. For training professionals, storytelling is a powerful tool that can transform the way people remember and respond to information. Humans have been telling stories for thousands of years, and our brains are wired to process and respond to them. For many people, telling stories is fun and natural. Surprisingly, for those same reasons, stories can pose a challenge to your training instead of supporting or advancing your session. How can you maintain a balance between stories that train and those that merely entertain? Here are three strategies you can implement today for storytelling success. Can I map the story’s key points to any of the learning outcomes? Ask yourself if there is a clear connection. If the connection isn’t clear, or if there isn’t a connection at all, you should use a different story. Does the story make sense in the context of the learning outcomes? Consider whether learners will have an easy time understanding why you chose the story. If learners need to think about why you are telling the story, how it connects to the training, or what they need to take from it, they may be too distracted to benefit from the story. Who is your audience? Just as researching your audience can help you personalize the activities you include in training, you can use similar information to select stories that are most likely to resonate with learners. Knowing demographic information, unifying interests, and experiences ahead of time can help you choose a story that both trains and entertains. How can you use your learners’ stories? Think about opportunities to engage your audience. Each person brings a lifetime of stories to each training experience, and the stories you tell will remind them of their own. Consider how you can encourage them to share or use their stories to create a sense of community and advance your learning outcomes. Is the story easy to tell? If your story is too detailed or involves too many people or plot twists, it may not be effective in a training setting. Rehearse the story in advance and focus on portions that don’t feel smooth. Practice can help perfect your word choice or identify parts of the story that should be reworked or eliminated. Do people have a hard time following the story? Rehearse your story in front of a live audience (colleagues, friends, and family members often love to hear a good story). Pay attention to their reactions. If they appear confused or need to ask clarifying questions, use that feedback to fine-tune your story. Ask your audience to summarize key points or share what they learned; their thoughts can help to confirm that the story will advance your learning outcomes. When you focus on clear, simple stories that advance your learning outcomes and include your audience, you will be ready to tell stories that are fun to hear with lessons that learners can apply to their work. Storytelling is your most powerful training tool, and these three strategies will help you create and tell stories that both train and entertain! Want to learn more? 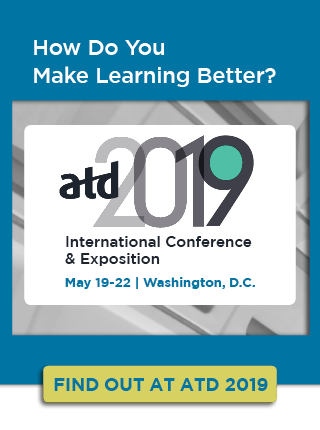 Join me at the ATD 2019 International Conference & Exposition for the session, Practical Storytelling: Unlock Your Greatest Training Tool. Stephanie Hubka wants to live in a world where learning is exciting and inspiring and training is recognized as a natural driver of an organization's strategy. As the managing partner at Protos Learning, her work focuses on learning strategy, technology, training design and delivery, and evaluation. During her career she has designed, developed, and delivered hundreds of instructor-led and online learning events for global audiences. She is also the co-founder of and travel writer for Road Unraveled, which tackles HR innovation and management through fostering a paid time off culture within organizations. A graduate of Carnegie Mellon University's Dietrich College of Humanities and Social Sciences, Stephanie is a Certified Professional in Learning and Performance (CPLP). She is a past president of the Metro DC Chapter of ATD and serves as a National Advisor for Chapters for ATD. Her passion for training is equaled only by her love of exploring the globe; an avid traveler, she has visited all 7 continents, 65 countries, and all 50 US states.